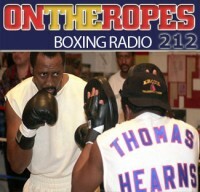 “On The Ropes” Boxing Radio returns this week with host Jenna J to talk about all the latest news and stories in the sport of boxing. 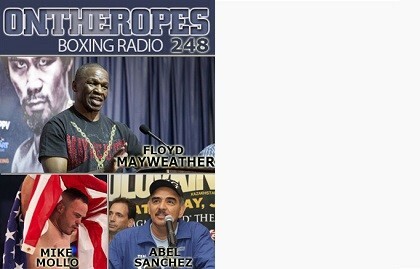 In this episode I will recap Saturday night’s HBO double header card which included a bout between Jessie Vargas and Sadam ‘World Kid’ Ali for the vacant WBO welterweight title. Jessie Vargas pulled off a surprising KO win and I will be discussing his future, one that could include a rematch with Timothy Bradley. I will also discuss the heavyweight encounter between rising heavyweight contender, Luis ‘The Real King Kong’ Ortiz and veteran Tony ‘Tiger’ Thompson. Additionally, I will cover the return of Antonio Margarito and Lucas Browne’s upset win over Ruslan Chageav. The first guest on the show is heavyweight slugger, Mike Mollo, who comes on following an impressive knockout victory over Krzysztof Zimnoch. Mollo speaks on the win and what it felt like to get back on the winning column following a long absence from the ring. 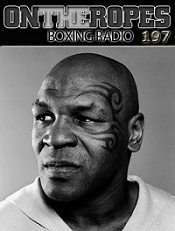 Mike also shared his views on the heavyweight division and what he hopes to accomplish in his future in the sport. 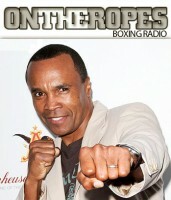 Also joining in on this edition of the show is respected trainer, Abel Sanchez. Abel talks about the upcoming bout between his star pupil, Gennady ‘GGG’ Golovkin and Dominic Wade that is set to take place on April 23rd. Sanchez also gives an update on Sullivan Barrera, who is set to take on pound-for-pound star, Andre ‘SOG’ Ward. Lastly, Abel Sanchez gives his views on the boxing landscape, including Saul Alvarez’s upcoming bout with Amir Khan and the likelihood of fans getting to see a Mayweather-Golovkin bout in the future. 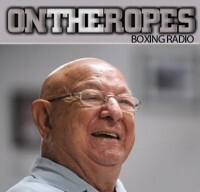 The main guest on this episode of “On The Ropes” is none other than Floyd Joy Mayweather Sr. Floyd joins the show for a record 38th time to give an update on his stable of fighters. Mayweather discusses his sons retirement from the sport and if he feels he will ever make a return to the ring. Floyd also talks about Gennady Golovkin and recent talk about a possible Mayweather-Golovkin showdown taking place sometime this year. Lastly, Floyd Mayweather Sr. Gives his views on Manny Pacquiao and the likelihood that we see Mayweather-Pacquiao rematch. 8 Responses to "Floyd Mayweather Sr on his son’s return, a Golovkin fight & Pacquiao’s injury. Abel Sanchez on GGG & Floyd bout. 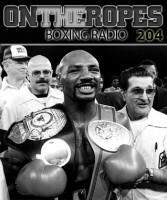 Mike Mollo talks upset win- OTR #248"
I think Abel is the best trainer in boxing. He is also cool to listen to. that is not easy because if you speak up or not agreed with other kids then you are not cool! I had taken all the steps necessary to get the school attention but all they said is ” we do the best we can to control it” and this is a â€caitholœc schoolâ€. Parents and Kids need to understand that the damage of bullying can affect in a childâ€™s life. May GOD rest her soul. Mâ€™en vais faire ma sis€geâe¦RÃ©ditÃ© par : Anonyme trop connu… | le 23 mars 2010 Ã 16:33 | Alerter Pas trop longue, surtout. Dans 4 ans, l’agreg disparait, c’est decidÃ©. Les ENS sont dÃ©jÃ en pleine rÃ©organisation pour faire face Ã la disparition de leur fond de commerce.Au 3 B, et vite! ja nemaldos, tad feedburner jau ar to arÄ« nodarbojas, ka nodala botus no Ä«stiem lasÄ«tÄjiem. KatrÄ ziÅ†Ä varam gaidÄ«t, kad google Å¡o servisu uzlabos.par adreses maiÅ†u. es nesekoju lÄ«dzi Å¡Ä«m adreses maiÅ†Äm, jo arÄ« tavÄ gadÄ«jumÄ tev bija lieliska iespÄ“ja, ieiet feedburner un nomainiit RSS avotu. Lasiitaajiem nekas nemainiitos, vinjiem buutu vecaa RSS adrese. Vai tieshaam shii fiicha tur bija tik ruupiiigi nosleepta?